Download the NCERT Science textbooks for class 5 to 12, available in both English and Hindi Medium. Download Free NCERT Solutions PDF for class 6th to 12th. Books are a man’s best friend. There are different types of books everywhere in this world. Each type of book has its own importance and they give various information to us. Some read to pass the examination, for some it is a passion and hobby while some read to spend their time. Different schools prefer different books according to the syllabus. While other students who prepare for some entrance or competitive exams choose books which will help them prepare properly and score well in the examination. Many of them prefer NCERT textbooks due to its key features. These books cost less. The language and style of the book is easy and simple. So, anyone who reads this will be able to understand all the matter and concepts of the book easily. NCERT books give the students detailed information about the different topics. There is no exaggeration. All the information is to the point. They help us save time because of the easy language and to the point information. The student does not need to read any unnecessary information and all the basics are cleared with these information. These books will help to fetch enough marks for the students if one has followed everything mentioned in the book. They are light in weight and are easy to carry. Moreover, the NCERT books have questions at the end of every chapter. This helps the student to get a clear idea of what kind of question can come in the exam. If the questions given in the book are thoroughly solved, then one gets into the habit of solving any type of question. This will help the students in the future. Even though using NCERT books will give the students many benefits. But does it mean that one has to buy NCERT books? Is it necessary to buy them? Well, it depends on one’s choice whether they want to buy the NCERT books or not. But when a person goes to a book store, they will not be sure if they went to buy NCERT books or other reference books. Quality study is important that quantity study. This does not need that one should not buy other reference books. It is important to buy them. But before that one should finish studying from one book and then move on to another. If a student wants to score well in the entrance examination, he should choose the right book and study properly. If a student actually wants to refer NCERT books due to the above mentioned key features, they should make optimum use of them. It is depends on them whether to buy the book or not. If one does not want to buy them, instead save money they can download the books. NCERT books are easily available online. If they want to save money from not photocopying or printing or buying them, they can read the book online. But sometimes if the system crashes, all the downloaded files might not be present anymore. In such cases, they will have to make an effort to download the correct files online. Solution to such problems are NCERT books. If one has the book as a hard copy, there is no chance of losing the content like the downloaded files. The hard copy has one more advantage to the online files. If one sits in front of their computer or laptop and reads from it for long hours, they might get headache and eyes might hurt. The students can buy other reference books along with NCERT books. But so many books will just make one confused about the concepts. One can study from different books and learn extra information. They can even know the same topic from a different approach. But towards the end, what matters is the knowledge a person has gained and what one has learnt in their life. It does not matter which books one has used. Some might find it difficult to study from a particular book. But another person would find the same book easy to understand. We cannot judge any book. It depends how we use it and what do we learn. It is important how one has progressed in life in spite all of these. Feel free to comment, in case the download links aren’t working. We have conducted ample and high-level online research work and have brought to you the finest collection of Old NCERT Books resources exclusively for our users. Click on the link below to get your own copy of old NCERT book PDF. NCERT books are the first step towards your dream career of becoming an IPS/IAS officer. The books developed and distributed by the National Council of Education, Research and Training, are unbiased and well articulated. The information provided in these books is accurate, true and in depth. You can easily make factual notes out of these books, especially for history, economics, and geography. All the beginners or the new aspirants often ask the same question about why to prefer NCERT books especially the old NCERT books when there are hundreds of standard and advanced books available along with online material? Why old NCERT books are important? NCERT books are the most basic books and are written in very simple language marking a neutral perspective towards the very event. NCERTs prepare your base towards a solid preparation for UPSC examination. The new books, especially for geography and history, cover lesser data than the older books. The old NCERT books offer more in-depth knowledge than the newer ones. But in the case of science and maths, you should prefer new books only as they cover all the advancements covered over the years. Another reason why NCERT books are important is that when you write the UPSC mains examination, your writing style should correlate with the NCERTs. Every year around 30% questions are directly asked from the NCERT textbooks. You can only answer them if you have a thorough and deeper understanding of the concepts. There are some old NCERT textbooks which offer the most comprehensive material for the aspirant’s preparation such as old NCERT book of Geography (class 11 and 12) and History NCERT (for classes 10 and 11). These books should be mugged by every candidate. NCERT offers you a planned study approach as well as material else you will get lost in this vast ocean of books and coachings. If you are planning to take up subjects related to humanities as your optional subject and you haven’t read them before, then studying these books will benefit in your optional paper as well. What to read from old NCERT Books? The newer NCERT aren’t recommended for some subjects such as Geography, polity, art & culture and History. When you study History, the main thing which matters is the memorization of the timeline. The factual knowledge becomes important at this stage along with some contextual memory. While studying the Geography NCERT consider old NCERTs as the Holy Grail. All the maps, mountains, rivers, passes etc should be on your tips. Class 11 NCERT book for Art and culture book is sufficient to study for the GS paper as well. When you study from Polity NCERT textbook then make sure that you make all the notes accordingly. This book is very important from the essay writing part asked me the mains examination. UPSC asks ore of factual questions which you will easily find in old NCERTs. The NCERT textbooks on sociology will give deep insights into how our society is continuously evolving and provides explanations to the varied perspectives, conflicts, and other social issues related to women, caste, children and the deprived sections of the society. How to read effectively from NCERTs? Underline what you feel is important in your first reading. If you are studying online, you can use a marker option. When you are in your second reading, make sure that you learn and memorize the underlined things. Now moving on towards your final reading, make notes of your underlined things. Now forget the books and totally focus on your notes. Revise your notes every fortnightly. After 4-5 iterations you will automatically reach the desired level of competency. Always remember that finishing a book does not declare the things done until and unless you remember everything and are able to recall them in your mains and prelims. Study your NCERTs in such a way that the entire syllabus can be revised in 7 to 8 hours. Your hard work is the ultimate key towards your success. There is no finite timeline suggested for completion of the NCERT books. You need to study them till you feel that all your concepts have been cleared and you have started to memorize the concepts and dates. If you are a really intelligent person, you will be able to complete all NCERTs in 1.5-2 months. But being an average student, you will be completed in 2-3 months time. Old NCERTs were full of factual information and in-depth knowledge. The newer NCERTs follow the interactive mode of learning. The new NCERTs certainly are good when you study science and mathematics but regarding social sciences, old NCERTs are preferred. The new NCERT is helpful for students in getting in-depth knowledge and improve their logical and analytical skills. for knowing more about the social sciences, the old NCERt books really help. Not only for UPSC but when you prepare for Staff Selection Commission exam, you still need to study NCERT books. Many other competitive exams also follow NCERT books as it not only solidifies your base but also makes you score well in these exams. How to get NCERT old textbooks? There are two ways by which you can have access to NCERT old books. The first option is to go offline i.e. in your markets or issue them from the college library or city library. Finding these books is a daunting task as these books are limited but the numbers of students are more. You have to go to every shop and ask for the books. If they don’t have the books, then again you have to check with other stores. It is a time-consuming task, and the results are uncertain. The second option is the most recommended one, which is downloading these books online. These books will be available over numerous websites in PDF, pub or zip files. But you cannot trust every website blindly. There is always a risk of getting hacked and virus attack. There are many websites which redirect the user to some other download location and just makes money by the click count. Most of the users end up in downloading either a Trojan or virus. Many websites charge their users for allowing them to download the books and also do not offer good quality books. Contents are also less on many websites. This leaves the user or the aspirant frustrated and demotivated. Along with it, the process of redirection and clicks takes up a lot of time. Then, where should I download the old NCERT books? You can download old NCERT books from NCERTBooks.guru for free of cost. The website is 100% reliable and offers an easy to use interface for the users. Just a single click and you can download your copy of old NCERT book. 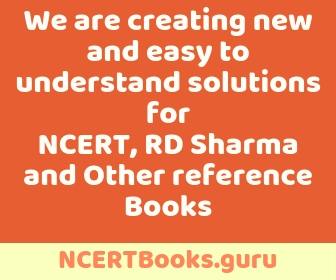 NCERTBooks.guru offers no redirects and requires no login or signup to download. this website offers the easiest way to download the old NCERT Books. You can download these books in the PDF format which relieves the user from the hassles of downloading the irritating zip or epub formats. Apart from old NCERT textbooks, the website also offers PDFs for other standard books, NCERT solutions, exemplar books and their solutions etc for an effective study. You just need a fair internet connection sped and then just a click and the file get downloaded on your laptop, desktop or mobile. Writing an academic paper may be difficult at times. There are lots of problems that any student might face, such as lack of time. It often happens that a student has to complete several papers at the same time and do so before the due date. None of the papers seems to be too complicated, but the fact that you have to either write them simultaneously or choose one that is more preferable to you distracts your attention from the actual writing process. You may doubt whether you essayshark.website have made the right choice or whether you should have written the other paper. All these thoughts can hinder your full concentrate on writing. Another problem is writing essays on topics you don’t understand very well. It takes a considerable amount of time (more than 3 or 10 hours!) to figure out what exactly you should do, such as conducting a research, creating an outline, and then writing a draft. Here we are providing Free NCERT Urdu Books for class 1st to 12th PDF Download. All books are in PDF Format. Say “No to EPUB Format”. Just one click PDF Download. The Urdu language is a Persianised version of the Hindustani language. It is one amongst the language which is written from right to left. Urdu also claims the status of official language in the constitution of India. Urdu holds the official status in mainly six states of India namely Jammu and Kashmir, Telangana, Uttar Pradesh, Jharkhand, and West Bengal. Urdu is also registered as the regional language of Nepal. Our National Capital, Delhi or more specifically old Delhi has more Urdu speaking community than from other parts in India. Urdu is ranked as 21st amongst the most spoken first language in the world. There are about 66 million Urdu speakers across the globe. In some parts of our country, Urdu is added as a part of the curriculum set by CBSE. The complete task of designing, publishing and distributing the textbooks have been handed over to National Council of Education, Research and Training. NCERT has well-defined syllabus across all classes from 1 to 12. For classes 11 and 12, Urdu acts as an elective subject. Now you can download the complete NCERT Urdu books for classes 1 to 12 for free from NCERTBooks.guru. There are many websites floating over internet calming to provide high quality and affordable books. All the links present over these websites either redirect you to another page or make you download the EPUB files. Some of the websites also charge you some amount for downloading. Here at NCERTBooks.guru we offer the free download to all the NCERT Urdu books for classes 1 to 12. All the e-books which we provide have been completely changed into PDF formats so that it becomes easy for the student to download and view them on any device. The e-book can be downloaded easily by just having a good internet speed and a medium such as a laptop, Smartphone, desktop etc. whichever option you have in your home, and you can download the file on that. All the links provided are 100% working and offer no redirection and are as per the latest 2018-2019 syllabus. Even we have tried to keep the layout of the website simple and user-friendly so, that a student doesn’t face any problem in navigating through the website. You don’t need any signup or login for making the download process work. All the study material available over NCERTBooks.guru is free and marks no compulsion for signing up and logging in. Apart from NCERT Urdu e-books, we have a complete store for all the standard textbooks and their solutions as well as all NCERT books along with their solutions for Hindi, English, and Urdu medium CBSE schools. We are the largest and fastest growing community providing free e-books for school education. Our solutions book not only aids the student in completing their homework but also prepares them for board exam as well as competitive exams. Join us now. If none of the links works, feel free to comment below. We will try to fix that asap. Here we are providing NCERT Sanskrit books from class 6th to 12th. No EPUB Format, Only PDF Format. You can download NCERT Sanskrit book for classes 6 to 12 for free at NCERTBooks.Guru. We offer the latest Sanskrit in PDF format exclusively for our users. Sanskrit is one of the most popular and oldest languages used in India. Though it is not the official language in India Sanskrit has been listed among the languages of 8th schedule in the Constitution of India. The popularity of Sanskrit is not limited only to India but many of the words in other languages also have Sanskrit origins. Learn Sanskrit not only because it is a part of your curriculum, but studying this language will unfold the deepest writings of our Upanishads, Vedas etc. All our old epics have been written in Sanskrit only. It throws light over the richness of our Indian culture which we inherited from our forefathers. The importance of Sanskrit can be very well acknowledged by the fact that even the NASA researchers and scientists are recognizing Sanskrit as an attainable machine language. Due to Sanskrit’s excellent morphology, the language leaves no or a minute error. The fact can be validated as Germany has already called for Sanskrit scholars across the globe. Many of the international universities are hiring for the post of professor in Sanskrit as Sanskrit is now a recognized language globally. Sanskrit still serves as the means of vocabulary for most of the languages in the modern world. Sanskrit is fully capable of providing large-scale new- technical terms for modern languages. The modern languages still find it difficult to expand their vocabulary on their own. So, ultimately studying Sanskrit is a must for all school students. Being a language from India, all Indian students must go for it. Or at least should be clear about the phonetics and be confident in their Sanskrit reading skills. The basic step towards the language begins from the junior classes in India. The language is very easy, interesting and scoring as well. National Council of Education, training, and Research has been given the responsibility of developing, publishing and distributing NCERT Sanskrit books in India. But while growing with the digital world, one should keep a book handy. We at NCERTBooks.guru have brought to you all the textbooks of Sanskrit in PDF formats. There are many websites over the internet offering and claiming to provide the best study material but either the links they provide get redirect or give them EPUB files. Students do feel difficulty in downloading EPUB formats, so we have taken the additional pain and have come up with providing 100% working links to PDFs of these NCERT books. All the links are 100% verified and are working. You don’t need to sign up or do a login for downloading the book. Just click the link, the file will start getting downloaded automatically. You can download the book on your mobile as well. Download your NCERT Sanskrit textbook now. Here we are providing Latest NCERT Physics books for class 11 & 12 – Free PDF Download. Download Free NCERT Solutions PDF for class 6th to 12th provided by us. NCERT stands for National Council of Educational Research and Training. This is an autonomous organization that belongs to the Government of India. All the CBSE schools follow the NCERT syllabus and the books approved by the organization. NCERT books are not only useful for the students studying in CBSE board but even for the ones who aspire to sit for different entrance exams. It is important that one knows what type of books must be needed to prepare for the exams. NCERT books are useful for us in different ways. Even though there are a few disadvantages to these books, the focus is on how useful they are. If a person from ICSE Board shifts to CBSE, it is much easier for the student. First, the NCERT books cost less. The total price of these books will be equal to the price of one or two books prescribed by the other board. Second, the language and style of the book are easy and simple. So, anyone who reads this will be able to understand all the matter and concepts of the book easily. Third, these books give the students detailed information about different topics. There is no exaggeration. All the information is to the point. Fourth, NCERT books help us save time because of the easy language and to the point information. The student does not need to read any unnecessary information and all the basics are clear with this information. Fifth, these books will help to fetch enough marks for the students if one has followed everything mentioned in the book. Sixth, as these books are light unlike other board books the students will not have any problem of carrying them. Otherwise, if the books are thick and heavy, there are chances they will have back problems. Moreover, the NCERT books have questions at the end of every chapter. Questions are of varying difficulty levels. This helps the student to get a clear idea of what kind of question can come in the exam. So, if one solves these questions properly it will be easy to solve them in the examination. If the questions given in the book are thoroughly solved, then one gets into the habit of solving any type of question. This will help the students in the future. The students must know all the information given in the book thoroughly. In the examination, there are no questions that come outside the syllabus or something extra. This is the reason why one should clear all the concepts from the NCERT book first instead of using reference books. Whether the student belongs to Science stream or Humanities or Commerce, the NCERT books have proper illustration, examples, an explanation for all the concepts. Apart from teaching from the syllabus, there are extra exercises mentioned in the NCERT books. These exercises help us to know about new learning and teaching processes and ways to review ourselves. As the books are prescribed the organization, some might argue that these books might not be updated or may be behind other boards. But these books are updated at all levels so that the students studying from NCERT books know the same as the ones from other boards. In every NCERT book, there is a page which has Preamble of the Constitution. This shows that the organization wants the students to learn and know about their constitution. So, apart from teaching the students about the subjects these books also help them to know about the constitution. Recently, according to the news reports, there will be a page at the end of the textbook similar to the page which has the Preamble. This page will teach the students about the good and bad touch. This step has been taken because these days children are facing a problem with their safety. They are being killed, raped etc. Thus, this page will help them to be aware of the good and bad touch so that they are safe. This is a wonderful initiative undertaken by the organization. This clearly shows that the NCERT books help the students to know about their Constitution and safety apart from the approved syllabus. These books are helpful in entrance examinations as well as they are filled with MCQ’s and mind-boggling questions.